Next up on David’s Book Blurg is Young Warlock by Mathew Bridle. On his graduation day at the University of Elements Dekor is shown how to conjure fire, an art forbidden to mages. He immediately succumbs to the lust of the flame. Now a battlemage Dekor is expected to climb through the ranks and become a great mage. His experiments with fire lead him to a confrontation with the Archmage resulting in Dekor becoming a wanted criminal. He sets out on a night of lust driven destruction securing his transformation to warlock. Now he must flee for his life, pursued by hunters who will stop at nothing to bring him in. He heads north, through dark, spider infested forests, over mountains and through dangerous swamps where he encounters Icthus, a truth provoking creature who becomes his friend. Icthus guides Dekor to a place of refuge but first they must scale vast cliffs and traverse the plains of Oumtuk before they can reach the safety of Gamran Mire where the next part of his journey begins. Dekor is asked by the enemy of the mages to help them open a magical doorway into the Cavern of Souls though what they really want is something different. With Icthus as guide the party sets out on a simple quest. When he returns Dekor finds he has something unexpected. War has come to lands of men. Dekor’s homeland is laid waste by armies of goblins and the undead. The people of land flee to the neighbouring kingdom of Grimlaw where they live as refugees. The mage guild is no more, Dekor is a free man. Now he must put his inner demons rest and to put right the wrongs of his night of lust. From the outset I had a feeling I would like this book, the blurb screams potential. Dekor is a battlemage, training to offer his support wherever he may be needed..but as with all magic there’s a dark side to tempt you and Dekor is unable to keep his lust for fire in check and turns to the darkness. All is not as is seems though, there’s a plan and the One has his eye on Dekor and others. With the aid of allies the One sets up the chessboard ready for the war to come. A prophecy long ago foretold is about to come to fruition but many are blind to the danger they are in. This is most certainly the kind of book I want to read when I think of epic fantasy, there’s gnomes, dwarfs, goblins, orcs and trolls to name just a few! plus the gods they pray too. The pace of the tale for the most part works well and builds up the plot nicely but at times it did seem things progressed rather fast so didn’t get much page time, one major event stands out.. I’d love to be specific but that would ruin a big piece of the plot… The chapters could have probably done with a timeline of sorts. What the author gets spot on for me is the setting and its characters..both grew nicely as the tale progressed helping me as a reader understand the bigger picture. I particularly found Icthus and Gestorn highly fascinating. Dekor himself has the most page time and therefore the most growth throughout the tale and it worked pretty well. I’d loved to have seen more inner struggles with the fire. One of the best things about the book is the build-up, you never quite know who to trust and what their true motives are.. even the One. It made for an exciting read. Easy 4* for me! I’ll definitely add Mathew Bridle to my authors to look out for list as I’d like to see where the story goes as the ending leaves me in no doubt the adventure will continue. My thanks go to the author and Charles at Publishing Push for the chance to read/review the book. This entry was posted in Book Reviews, Epic Fantasy, Fantasy, Uncategorized and tagged Bloggers, Book club, Book Lovers, Book Reviews, Bookaholic, BookBlog, Bookish, Books, Bookworm, Dark Fantasy, Epic Fantasy, Fantasy, Reading, Reading List, Reviews on March 4, 2019 by Bairdy1985. You should know who Steven A. McKay is..author of the Forest Lord series based around one of the best historical figures ever in my mind Robin Hood..after what seemed like forever the end of the series came hard like a punch to the gut.. I needed more.. but could the author ever live up to the expectations set..well lets see. The Druid is a brand new tale for the author, this tale follows Bellicus. Religion is changing but Druids still hold some power..and as such when the King’s daughter is taken he sets out to rescue her. What he doesn’t know is that every corner he will be tested to his limits. There’s twists and turns as Bellicus deals with the changes in the world around him. He’s been closed off abit in his own little bubble so he taken aback when people don’t give him the respect his station once demanded.. it’s doesn’t help that he’s a giant of a man..only his weapon makes him stand out as the Druid and as soon as people see it you seem them quickly decide to help the man out..for the most part. He’s hot on the trail from the start but there’s numerous challenges ahead but Bellicus can handle everything..well at least that’s what he thinks..he either wins or will go down fighting. The plot was good but I just know the author has more to give. It just proves McKay has a natural talent for storytelling, that he’s able to change the focus of his tales after such a well-developed series like The Forest Lord series. He still manages to give us a tale where there’s a clear ending but leaves so much open left to develop if he wishes. An ending like that just has me desperate for more. Overall I thought it was well written, It flowed well and it seemed effortless..at no point did it feel like the story lost its way or that things didn’t make sense..it just worked. Being such a fast paced action tale where the heat is on from the start it’s a wonder the author managed to develop the characters at all but he managed it perfectly.. at one point I even started to really like one of the kidnappers..that’s how easy McKay manages to control your thoughts. Cracking read and a nice change from the authors previous work. Plenty of life left in the tale to see this develop further and I’d love to see how it continues. 5* .. I can’t give it any less. 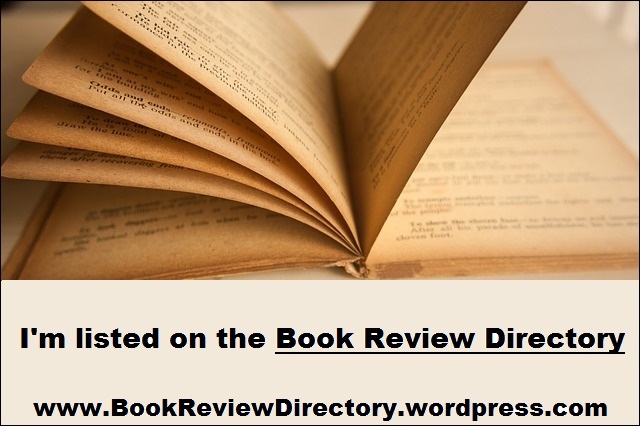 This entry was posted in Book Reviews, Fantasy, Historical Fiction, Uncategorized and tagged Blog Tour, Bloggers, Book club, Book Lovers, Book Release, Book Reviews, BookBlog, Books, Fantasy, Reading, Reading List, Reviews, Steven A. McKay on November 1, 2018 by Bairdy1985.